The department is housed in the new Fire Hall located in the Shawnee Ridge area just southwest of the intersection of Hwy 135 and Hwy 50. 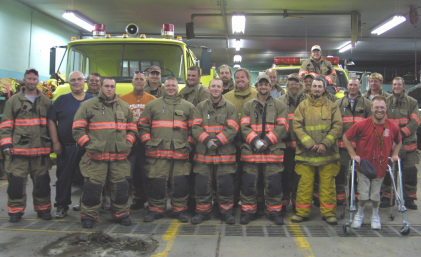 The Rural Volunteer Fire Department currently holds training and meetings on the first and third Wednesday evenings each month. 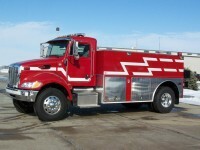 If interested in becoming a member of the Rural Volunteer Fire Department, you may contact any officer or fireman and fill out an application for review and approval by the department. The department utilizes three pumpers three tankers, three wildfire grass rigs, Jaw of Life, a thermal imaging camera and several self-contained breathing apparatuses. The fire department is made up of 30 volunteer members. The Department is responsible for all types of emergencies, some of which include wildfires, structure files, farm accidents and traffic accidents.